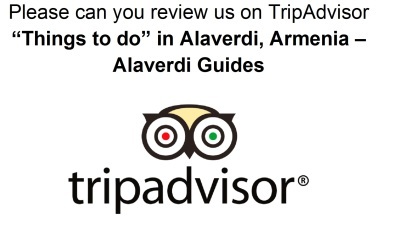 There are many things to do and see in and around the Alaverdi region and we want to help you see and enjoy them. Visit this amazing region of Armenia as it has so much to offer. The Mikoyan Brothers Museum – a unique museum showing how World History was influenced by two remarkable Armenian brothers during Soviet times…. everything from MIG planes and Soviet cuisine to the Cuban missile crisis, and more! Our local hiking guides offer an informative and professional service, with the benefit of local knowledge, ensuring we offer the best of the region for your visit. Go off the beaten track if you wish and we can recommend hikes based on your personal preferences, time available and the route of your trip. Not many hikes in the region are signposted, so we do recommend a local guide to enable you to navigate the area. A step back to the Soviet past of Armenia and two amazing brothers from the small village of Sanahin who affected World history.. crazy but true! The Mikoyan Brothers Museum is now open after a major renovation last year and is the new home of Alaverdi Guides. It contains new exhibits, much more information and we provide English language translations for visitors.